How the NFL's New Bag Policy Will Affect You | Gina Miller's Blog - A working mom's blog about fitness, travel, handbags & beauty. Once upon time you couldn't attend a game at Cowboys AT&T Stadium without seeing a bombshell bagsnob rocking a Birkin. Attending a Thursday night affair at MetLife Stadium to watch the Giants? Then you would see the entire Fall handbag line from Chanel, Louis Vuitton, Celine and more. No more, my fancy NFL-loving friends! (of which there are many, btw). The league has instituted a new policy limiting the size of handbags and purses you can bring into ANY NFL stadium in effort make the games a safer experience. When going to a Cowboys game in Arlington, you can bring a clutch purse that is 5.5" "tall" by 8.5" "wide". TIP: Use a folded piece of copy paper as a guide. You can also bring a clear plastic tote bag or 1-gallon resealable bag. Ugh. The Cowboys website offers a good infographic explaining what can be brought into AT&T Stadium. The league has an extensive FAQ page on its site, as well. The policy is already drawing the ire of loyal fans. Jeannette DeVader told me on Facebook that her first run-in with the policy wasn't so great. "I had my first experience with this in Canton at the Hall of Fame game. It's very exposing," DeVader says. "A friend of mine was pocket-picked at the Super Bowl, a bump & run. I fear this new law. Cell phones, cameras, wallets, viewable to all. Safe for the stadiums but not for women." The complaints will be exponentially worse once the regular season begins. I understand the need for increased security when it comes to larger bags. All someone needs to do is mention the 2013 Boston Marathon to silence critics. The bombing played a role in the institution of the policy. I also believe less is more when attending sporting events. I consistently recommend carrying stylish crossbody bags to games, golf tournaments, tennis matches and the like. But what happens when the reality of life gets in the way? What if you need a few bottles for your baby, along with wipes, a diaper pad, diapers, nursing material, a bib and emergency change of clothes? Sorry, no diaper bag for you. Instead you have to cram all that into a clutch and/or a clear tote. Forgo the privacy, friends. For a typical chick on gameday, you'll need money, ID, perhaps some keys, a smartphone, some lipstick/lipgloss, sunglasses, sunscreen. Those are minimums for me and my group of sports-loving female friends. Many more of my friends like a brush, hairspray, mints, gum, lotion, you get the idea. I told NFL VP of corporate communications Brian McCarthy that the cynic in me believes this policy was created by a group of guys. He says the NFL consulted with focus groups of 350 women and insists the policy is not too restrictive. "It's one 12 by 6 by 12 bag (actually pretty good size) and one small purse per person," McCarthy explains. "You and I go to a game, I don’t bring anything but my keys, wallet, phone, hat, sunglasses. I don’t have to put any of those in a bag. So I can carry your stuff in a 12 by 6 by 12 bag plus a small purse. You can also carry in a 12 by 6 by 12 bag plus a small purse." Have kids? I consistently load up the gear when I take my daughter, Jordan, to games. McCarthy says it won't be too tough to handle. "Let’s say we bring our 6-year-old girl and an infant son. 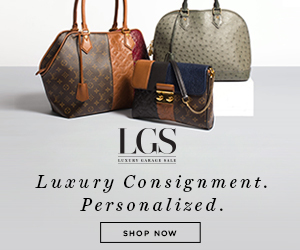 We can carry in a total of four, 12 by 6 by 12 bags and 4 small purses," he adds. McCarthy assures me that if a guest has medical items that need to be brought into a game, like an oxygen tank, that guest can go to a separate entrance to get cleared through security. So what if you bring a banned bag? According to the NFL website "fans carrying bags that do not meet the criteria will be turned away from the stadium well before they reach the gates." Stadiums are encouraged to maintain an ample supply of clear plastic tote bags or clear plastic freezer bags to afford guests the opportunity to transfer their belongings to an approved bag before they approach the stadium. As an alternative for guests that have no other option, stadiums are encouraged to consider providing the opportunity to temporarily check non-compliant bags at a facility located well outside the bag-restricted area." That is a nightmare waiting to happen. 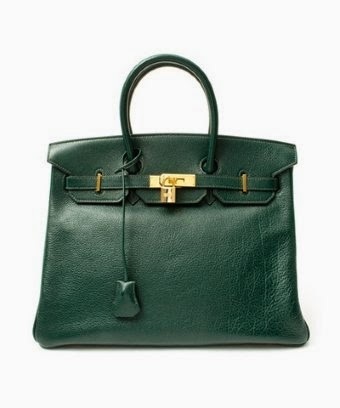 Imagine trying to confiscate the $15,000 crocodile Hermes Birkin belonging to the wife of a billionaire suite owner (women carry them to Cowboys games all the time, btw). When and if security tries to confiscate that bag, heads will roll. And it will ugly. This is all great on paper but there will be growing pains. The process will almost certainly run smoother once fans understand the new policy and get down the routine. Until then, along with your clutch and clear tote bags, you might want to bring a little patience to the games, as well.